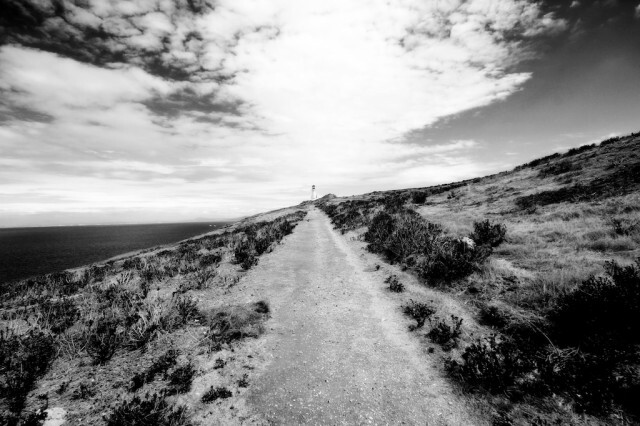 One of the many adventures that has always been high on my priority list has been visiting the Channel Islands National Park. 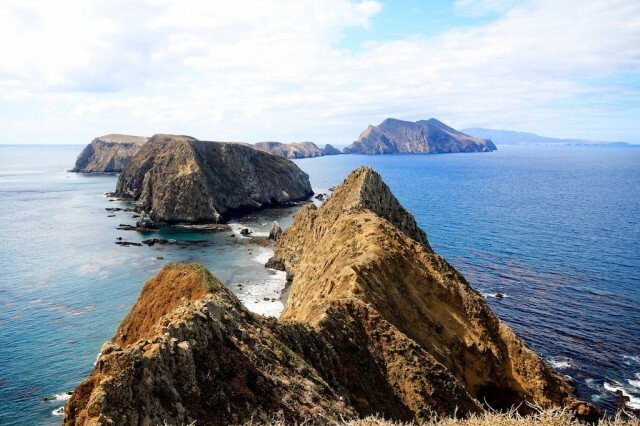 Due to it being 14 miles off the coast of California at its shortest distance and 55 miles at its furthest, this series of islands hold a ton of untouched beauty in their remoteness. 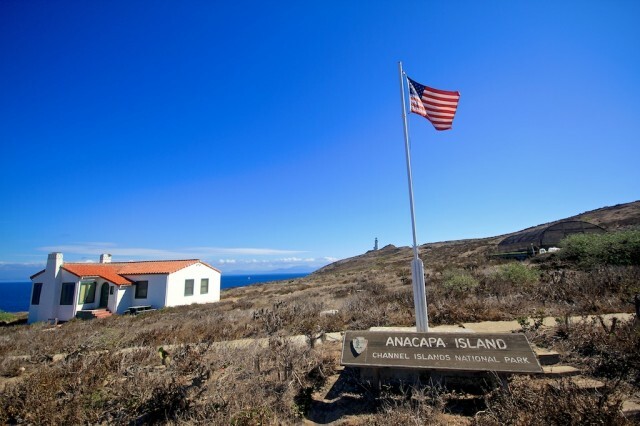 After finally booking a ticket on the boat that takes you across, I set out to visit the closest and smallest of the Channel Islands, Anacapa. The boat left at 9:30 in the morning and set out on the hour-long ride to the drop off point on the island. During that time we crossed into the channel and saw a large freight shipping boat as well as at least 100 dolphins swimming around us. The crew seemed interested in showing everyone a good time, so they slowed down by the dolphins and let everyone take pictures (see the video at the end for the dolphins). 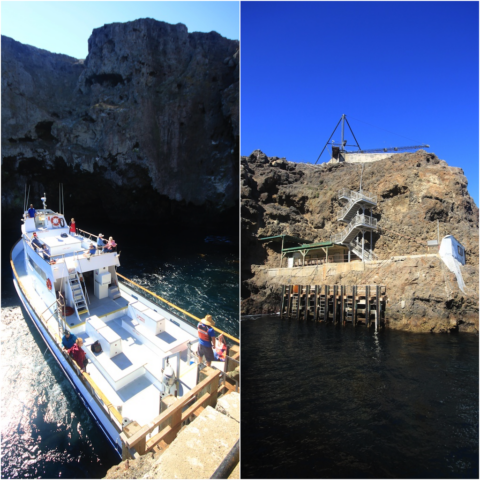 After about an hour we pulled up to the dock at Anacapa and about 90% of the boats 50 passengers got off. 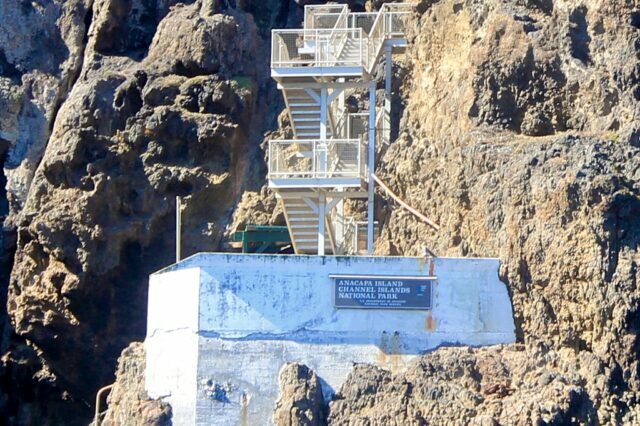 While this seemed like a lot, the 2.5 square mile island was large enough never to make it seem crowded. From the dock, you climb about 150 stairs until you reach the main upper shelf of the island as well as the path to the visitor center. 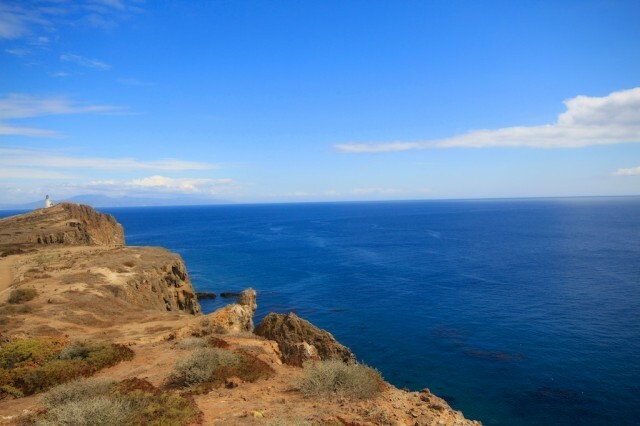 This dock is the only area on the entire island with sea access, as the island itself is on a cliff and has a good 50 to 100-foot drop at all sides. Most people opted to take the time out for lunch, but since it was already 11:30 AM and the boat was picking us up again at 3:15 PM we set out with one of the volunteers on a mile walk to the main draw of the island, Inspiration Point. 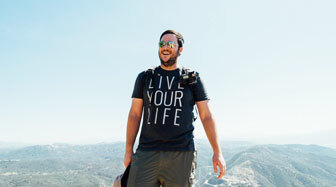 The walk was great, and the guide that we had was knowledgeable about the island and its history. 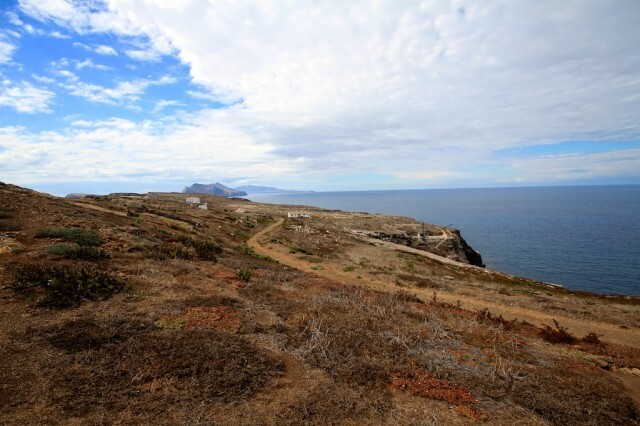 He also took us to a couple of the major viewpoints on the island, then after the tour ended he let us walk around and explore to our heart’s content. I would recommend this tour if it is offered but if you simply want to walk the island yourself here are the standout areas. 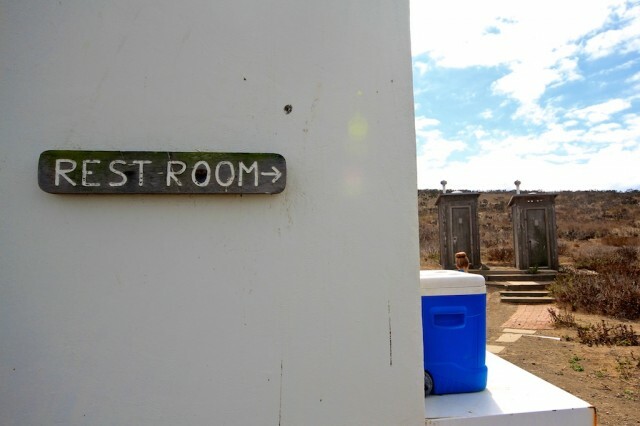 This area is where the boat backs in to pick up and let you off. It is also the area where you can dive in the kelp forest and drop in your kayaks to explore the caves and island from the water. At the Southern tip of the island is this beautiful lighthouse. 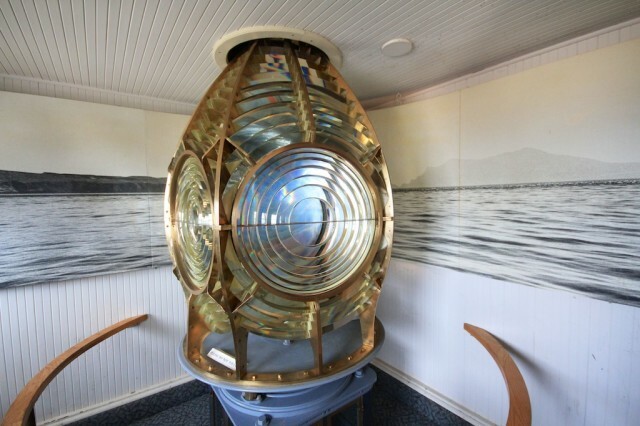 The old mirrors for reflecting the light have been moved into the visitors center, but you can still walk up and see the lighthouse while hearing the loud beeping it makes every minute. Unfortunately, you cannot get within 50 feet of it, but it’s worth walking up to. 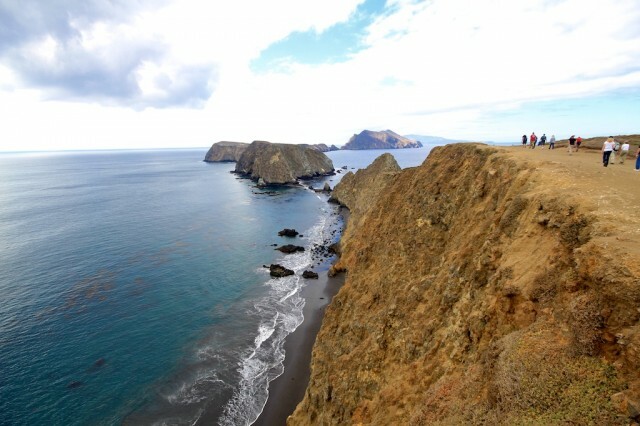 The main highlight of the island, Inspiration Point provides stunning vistas of the two other parts of Anacapa. The viewpoint looks over the middle island as it wraps around to the base of the West Island. You can also see the silhouette of Santa Cruz in the background as well. It is a beautiful spot that you will want to spend some time at. 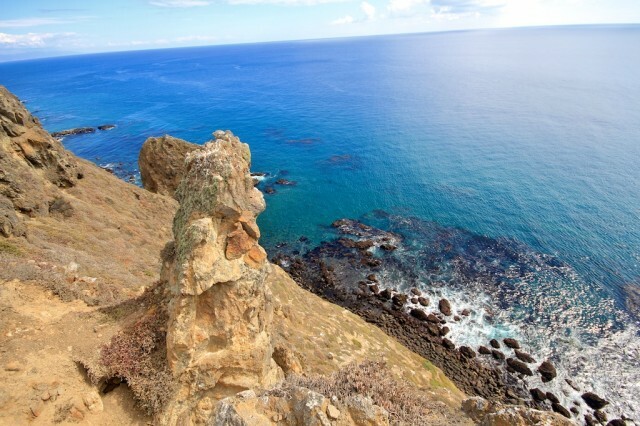 Another stand out area on Anacapa, Cathedral Cove, is a stunning example of what a beach can look like. Sitting on the edge, overlooking this cove, made me feel like I had left California and was in some tropical paradise like Hawaii. I only wish I was able to go down to the beach, but I will save that for another kayaking trip. On the West side of the island, this point had some unique rock formations and overlooked another beautiful cove. It is also one of the bigger drops on the island so make sure you don’t get too close to the edge. You can hear all of the seals below you hear as well, when we were there we saw a ton. Right smack in the middle of the island is the ten spot campground. It was only $15 a night when we looked, but I would recommend not staying overnight here as a day trip is perfect to see this island. 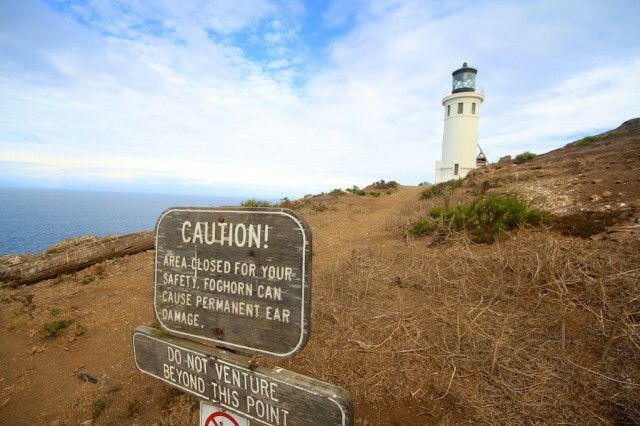 About 100 feet from where the boat lets off is a small visitor center complete with brochures, some photos, history, and the old light from the lighthouse. 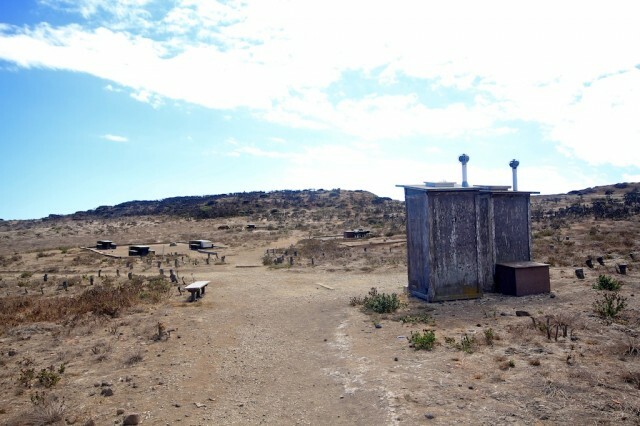 Not a ton to see here but a good central point with pit toilets (this is all that are on the island). 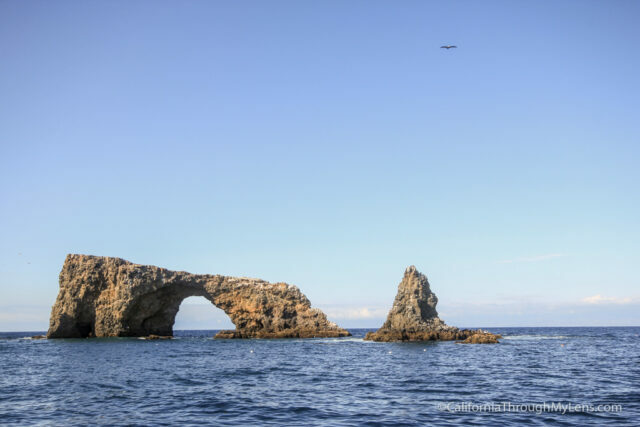 Lastly on the south side of the island is a huge rock in the sea that completes a full arch. It is about 40 feet tall and hollow for about 20 feet in its center. This rock is not accessible from the land, and you would need to boat or kayak to it but it is cool and was the logo that the volunteers were wearing on their jackets. Here is a video I took of the different points from above, complete with a short timelapse at the end. 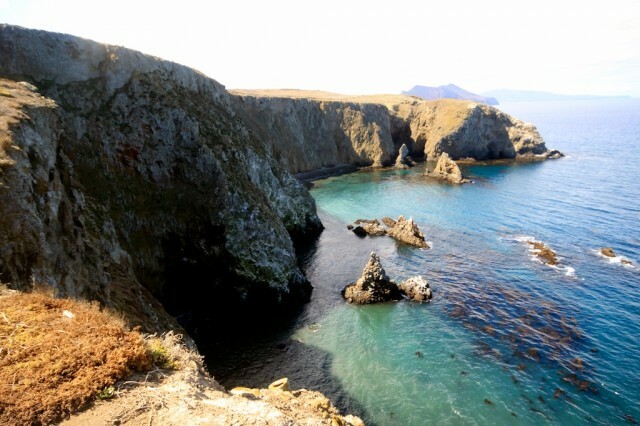 All in all the Channel Islands are a beautiful trip that everyone in California needs to take at least once. As soon as you set foot on the island and start to explore, I guarantee you will be shocked at how amazing they are. I cannot wait to get to the other islands. 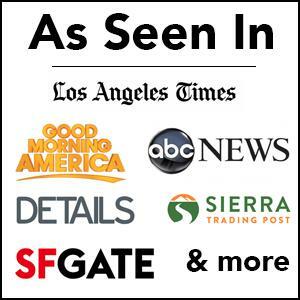 Make sure to check out the photos and leave a comment below.